Take the reins of one of the worlds’ largest megacorps and guide it to greater riches in New Angeles, the board game of corporate greed and manipulation for four to six players. 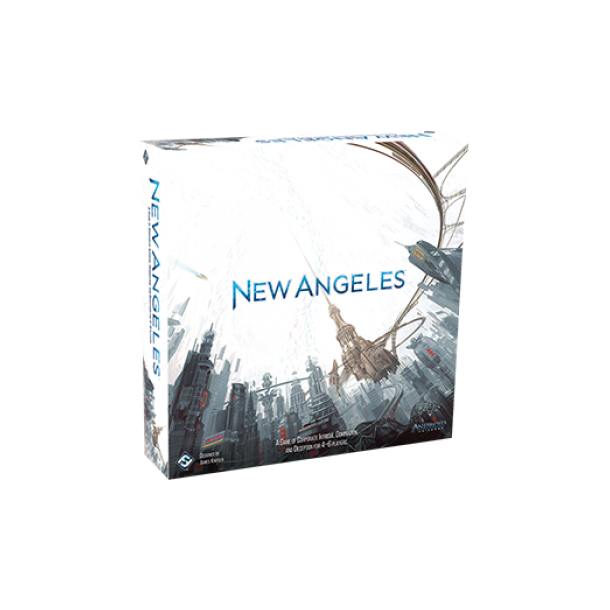 Set in the not-too-distant future of the Android universe, New Angeles challenges you to bluff, bribe, and manipulate your way to riches. Your primary goal is to accrue capital, but you’ll lose control of the city—and the game—if you can’t strike temporary alliances with the other corps to maintain order and productivity within the city’s many districts.